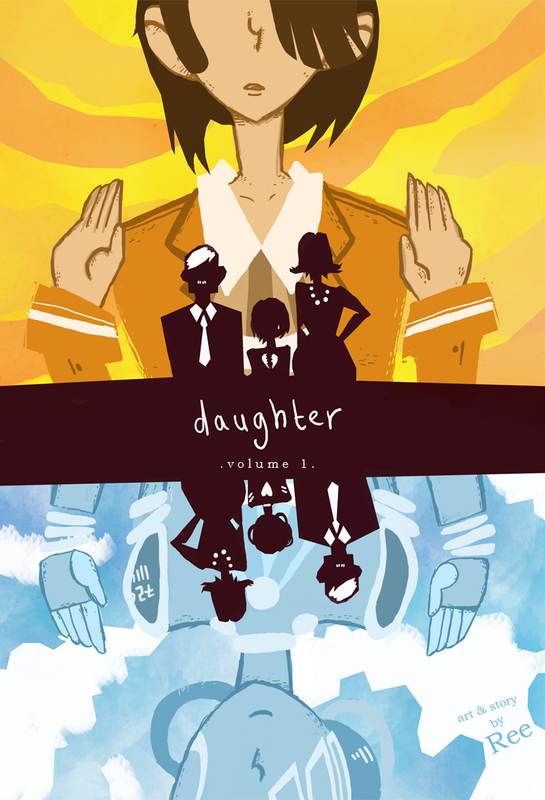 Here is a fake book cover I made for a fake comic that doesn't exist. 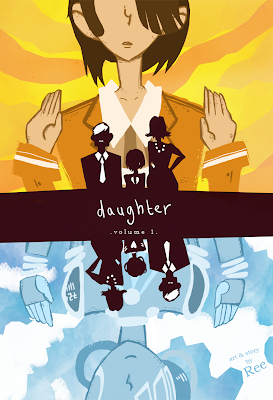 Said non-existent comic is about a smart girl who dies and becomes a ghost and her parents replace her with a robot. Jealousy and possible robot-destruction ensues. Anyways, it's for an Australian competition thing on Deviant Art which I probably will not win.